Established in 1964, Dixie Lee has brought families together, young and old to enjoy the taste of premium fried chicken, the best chicken you have ever tasted. 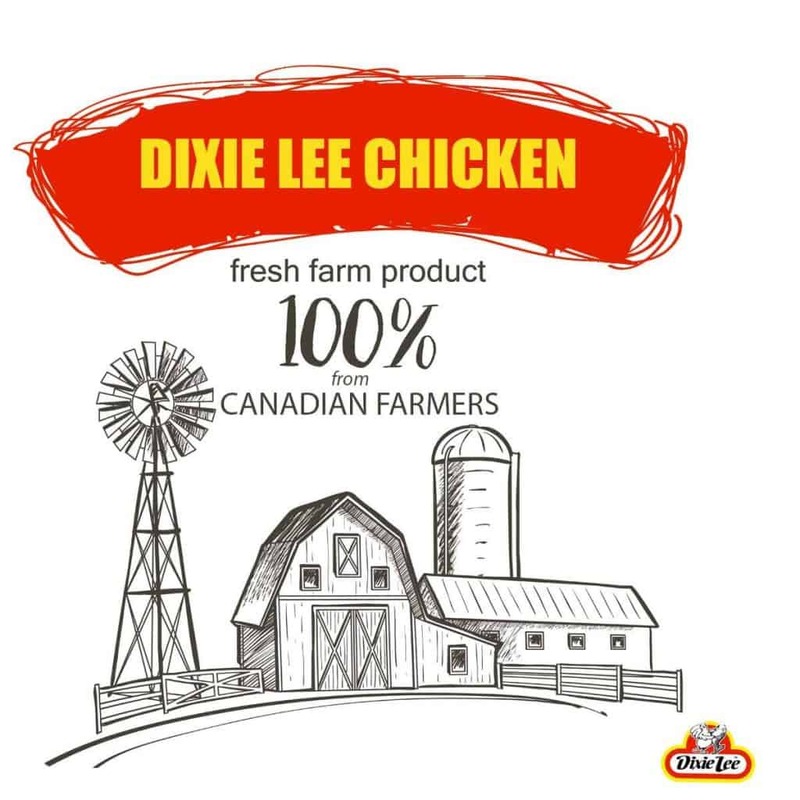 Dixie Lee supports the Canadian Farmers by using Canadian raised chickens. Our dishes speak for themselves: top quality ingredients; FRESH, PREMIUM CHICKEN, hand breaded in house, by quality minded team members, freshly battered haddock, Buffalo wings dusted in our famous Dixie Lee spices and then tossed in sauces made from scratch (Mild, Medium, Hot and ATOMIC). Chicken breast sandwiches and chicken strips, all freshly prepared from real white meat, not something artificially created.